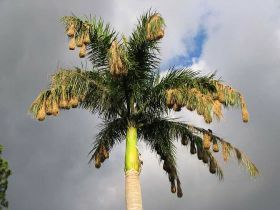 I was delighted to find this Cuban Palm with a huge colony of Montezuma Oropendulas. 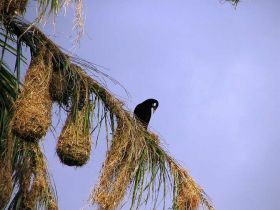 Their nests hanging from every branch of the palm. 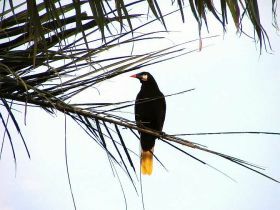 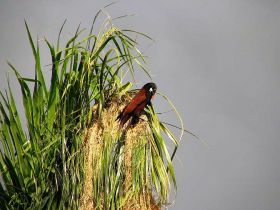 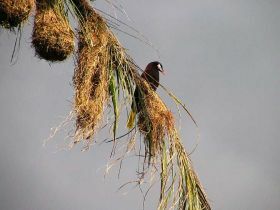 These beautiful birds live in colonies and weave intricate and strong nests that hang from the trees and defeat gravity. 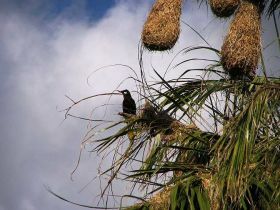 A true engineering feat of nature.